Opened in 2005, SOS Children's Villages Rutana is one of our organisation's initiatives to help children in need in Burundi, a central African country of immense poverty which faces a wide range of challenges in the near future. Rutana is located in the south-eastern part of Burundi; a region where most people depend on agriculture for a living. The odds for daily survival are tough since land is becoming scarce and the soil is generally low in nutrients. This means that people rely on fertilizer for a good harvest, but as fertilizer is expensive, it remains inaccessible for many. Since peace was achieved in Burundi, large numbers of people who fled during times of conflict have returned to the country. These returnees are often landless and add to the social strains of the already densely populated country. Furthermore, the lack of knowledge and capacities are a big hurdle to much needed development initiatives. With one of the highest fertility rates in the world, general development, in particular in the agricultural sector, is direly needed to improve the life situation of a poverty-stricken people. In addition to the constant threat of food shortage, HIV/AIDS, malaria and other health issues are widespread and devastating for the families affected. Often, families can't afford to pay for treatment, and health services are not generally accessible for the poor. These factors have resulted in thousands of children with no one to care for them. General poverty often makes it impossible for extended families to take in more children, meaning that many children have no choice but to live unsafe lives on the streets. Access to education is crucial for a country that acutely needs development. Education, however, is unfortunately not widely accessible in Burundi, where a large part of the population remains illiterate. One way to contribute to lasting positive changes for children in need is to provide schools and education. Another major aspect is to provide support that will enable vulnerable families to care for their children and become self-sufficient. SOS Children's Villages believes that the best place for children to grow up is in their own family, if the parents are in a position to adequately care for them. For that reason, our organisation undertakes various measures to strengthen families at risk of breaking apart. Sometimes this means that we provide medical treatment, and sometimes we support parents or carers to acquire skills that will enable them to care for their families. 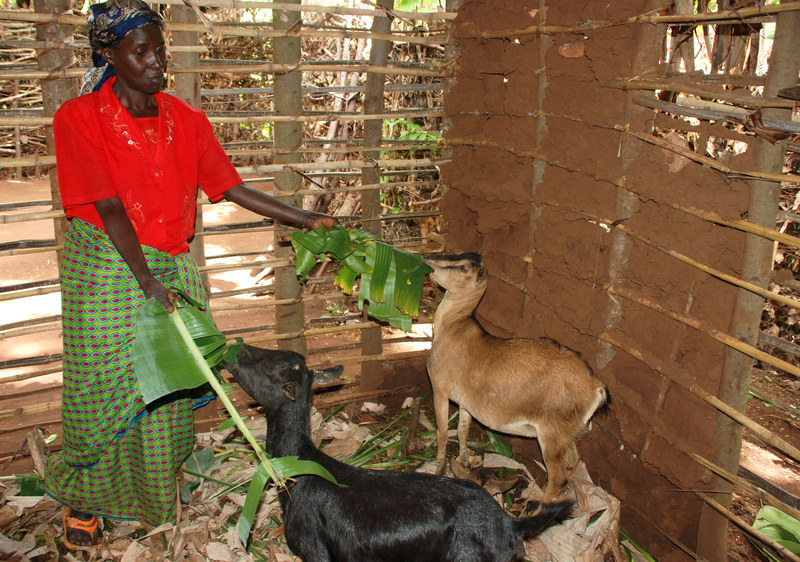 Providing a family in Rutana with three goats through our family strengthening programme is one such example. Since fertilizer is essential but expensive in the region, it can be difficult to cultivate enough food for some families. Three goats can provide a family with enough manure to fertilize their land, so they can grow vegetables for themselves and to sell. Through sustainable initiatives of this kind, SOS Children's Villages seeks to bring lasting changes for some of the many vulnerable children and their families in the region. An SOS Health Clinic and an SOS Social Centre provide services to the local community. People suffering from HIV/AIDS can find medical help and guidance. Food packages are distributed to some of the poorest families, just as families are helped to find housing and offered training that may enhance their chances of a job. Campaigns for the prevention of HIV/AIDS are carried out on a regular basis. Children without anyone to care for them can find a loving home in one of the 14 SOS families. Here the children can grow up in a safe environment together with their siblings while benefiting from early education at the primary school run by SOS Children's Villages. Just like the primary school, the SOS Kindergarten is open to children from the local community as well as children from SOS families. This means that especially single parents or carers can go to work knowing that their children are well cared for by professionals. 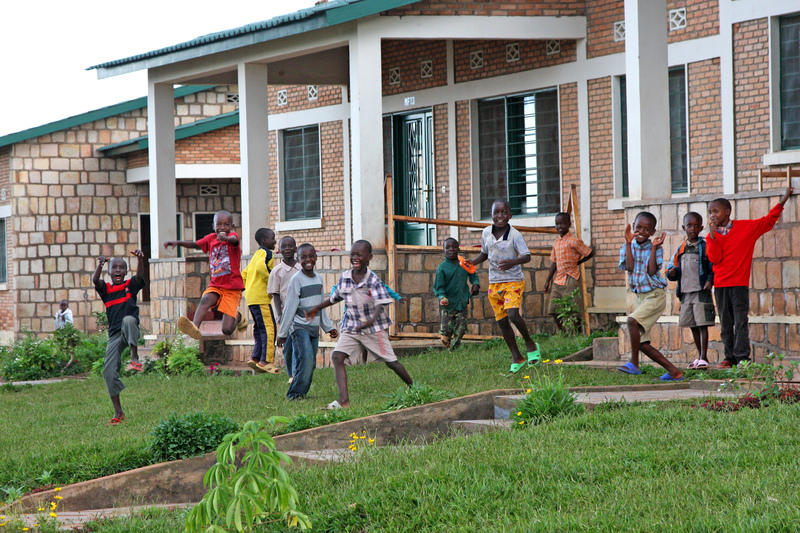 SOS Children's Village Rutana has now been operating long enough to have young adults in its care. These young adults move into SOS Youth Programmes, where they take their first steps towards independence. This happens in a supervised environment, where they receive guidance and support while completing their vocational training or higher education. The young people are encouraged to develop perspectives for their future, learn to shoulder responsibility and increasingly make their own decisions.